Berkshire Hathaway owned by Warren Buffett reported a drop of 9% in profit for the third quarter compared to the same reporting period one year ago, when large gains in investments were realized. On Friday, Berkshire said it had earned just over $4.62 billion equal to $2,811 a Class A share. That was down compared to last year’s $5.05 billion equal to $3,074 a Class A share. Revenue was up 10% to end the quarter at $51.2 billion. Berkshire had to write down its value in its Tesco investment by $679 million. Tesco is the British retailer that was caught up in a scandal about reporting profits. Buffett, the CEO and Chairman at Berkshire, said the investment in Tesco had been a mistake. Berkshire cut its stake in Tesco to below 3% in October, from over 5% during last year. The write down of Tesco was part of its loss overall of $107 million on derivatives and investments. Last year Berkshire had gains in investment and derivatives of more than $1.39 billion, which was related mainly to deals it made in the financial crisis, which made it difficult to compare with this year. Berkshire recorded big gains in investments last year as it was preparing to redeem warrants in Goldman Sachs and General Electric for stock. Wrigley and Mars also repaid the company for its investments in the crisis era. 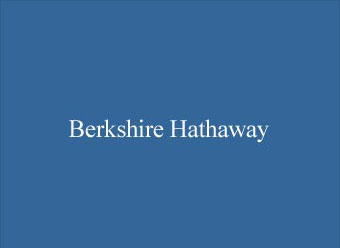 Officials at Berkshire Hathaway generally do not comment on the company’s quarterly results. Buffett said previously that the operating earnings at Berkshire are a better measure of the performance of the company in any one period, because the figures do not include the value of investment and derivative losses or gains. The operating earnings for Berkshire were just over $4.7 billion equal to $2,876 a share. That was an increase of 29% over last year’s $3.66 billion equal to $2,228 a share during the same reporting period. 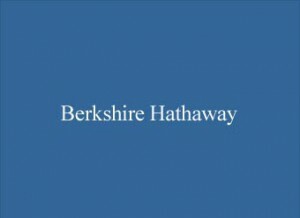 Many of the operating businesses in Berkshire performed well in the quarter and the company had $62.4 billion in cash when the quarter ended up from the $42 billion during the same quarter last year.